Soundtrack: The Shins "Wincing the Night Away" / Robert DeLong "Just Movement"
It was a cloudy and chilly Christmas Eve, and I did not have a plan. 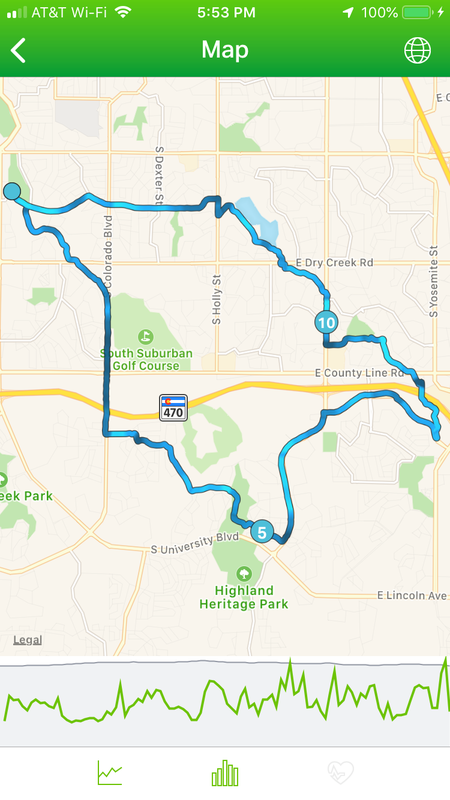 I was going to ride where the wind took me, and it took me to Westlands Park. 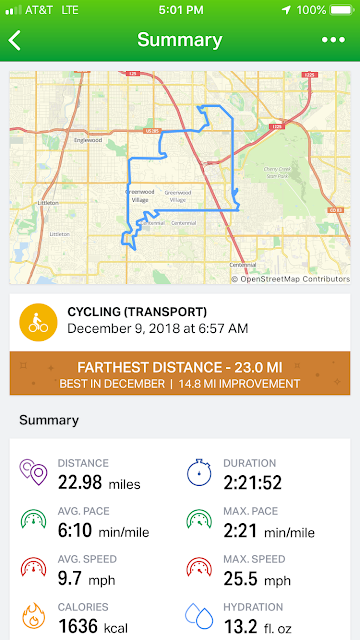 I felt much better on this ride than I did on Friday, and despite the chill, I was enjoying myself. 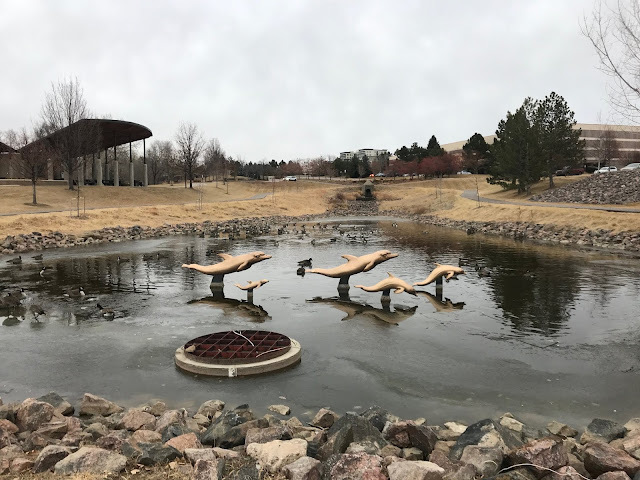 I decided to take a picture of the Westlands Park Dolphin statues because what better way to commemorate Christmas Eve than with dolphins? Mood: Grinding out a tough and long one on the winter solstice. Soundtrack: TV on the Radio "Dear Science / The Avett Brothers "Country Was" / Bad Veins "The Mess Remade" / Dan Le Sac vs. Scroobius Pip "Angles"
I had a slight headache as I pulled away from home, and I gave a split second of thought towards going back into the house and taking some ibuprofen, but I decided it wouldn't be necessary, and I plowed forward towards downtown. 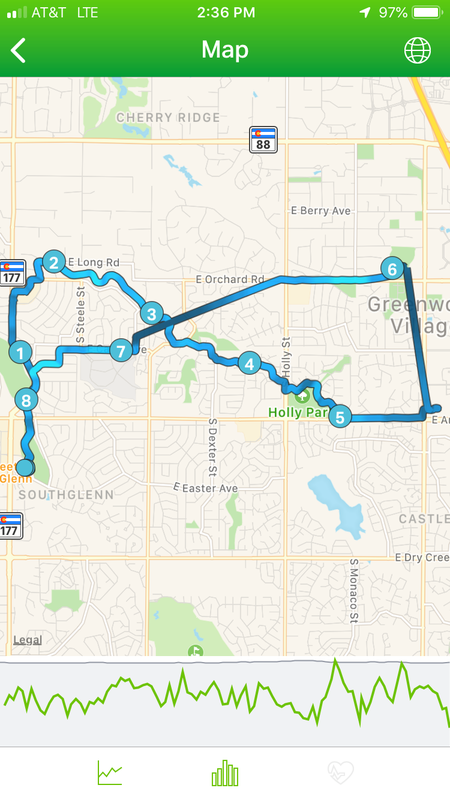 A few miles in, and my headache was not really subsiding, and I didn't feel all that great, but I was not diverting from the plan. 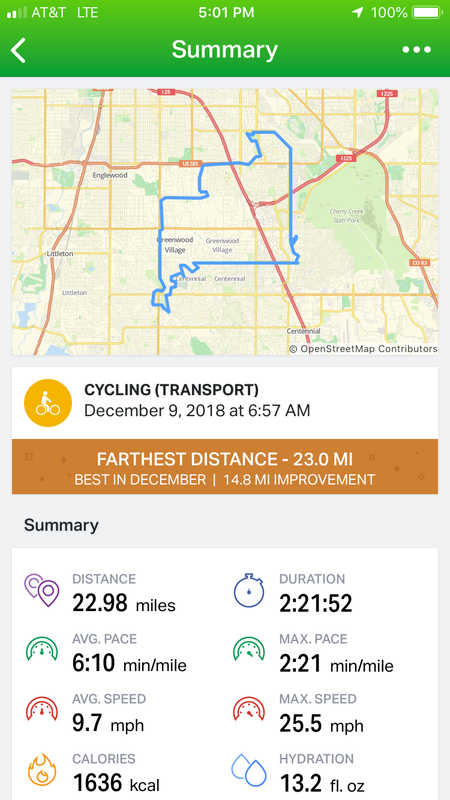 I kept cycling northward despite the uncomfortable feelings. I actually briefly felt pretty good as I was tooling around downtown Denver. I saw the murals (including the one pictured above) and they were pretty awesome. I also saw a statue on a rooftop of a T-Rex eating Mickey Mouse. This brief section downtown was pretty great...apart for the time when I tried riding my bike through the 16th Street Mall, which was jam packed with pedestrians and was excruciatingly slow going. 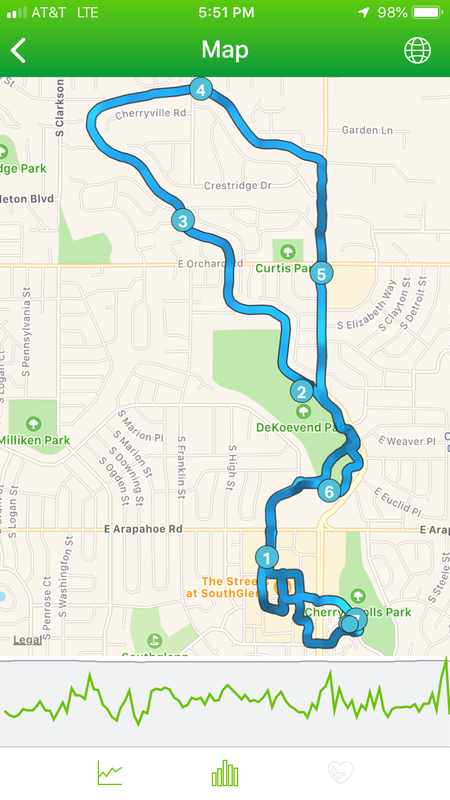 My headache returned with a vengeance once I hit the Cherry Creek Trail. Add to that a feeling that my blood sugar was starting to get low, and I was a bit of a mess. Knowing I pretty much just needed to keep moving forward, despite being about ten or so miles from home, I just put my head down and kept moving. 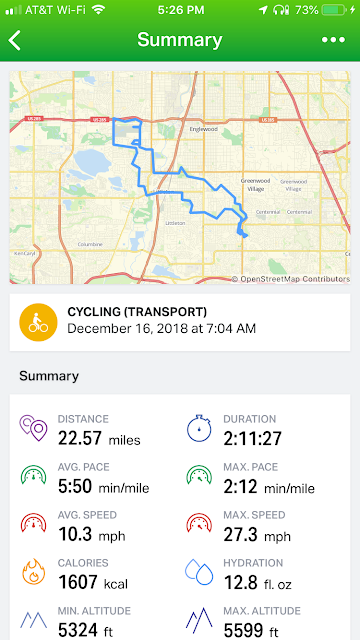 At one point I was passed by an elderly couple on a bicycle built for two, which was not great for my ego, but I didn't care much at that point. I was tired and hurting and I just focused on continuing to move. Things got better as I got closer to Wash Park. I found a convenience store, and briefly ran in to get a Powerade and a bag of chips. After buying those, I also bought four ibuprofen tablets for two bucks, which is an obscene overcharging, but I happily paid it to help with the headache. I had stopped partially because I was hungry and partially because I needed something to raise my blood sugar. I stood outside the store and ate my chips and guzzled the Powerade as the pills slowly began to do their work. 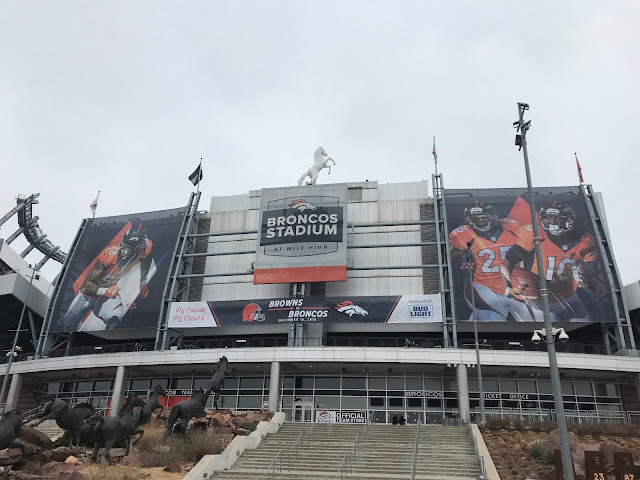 By the time I reached I-25 and Downing, my headache was feeling much better and my brother called me to let me know that our Broncos season tickets had been selected to allow us to go down to the field and help unfurl the giant American flag before kickoff. This would have been awesome if I was going to the game, but we had sold our tickets, so it was more of a thing that could have been awesome, but wasn't. I then just through sheer determination made it the rest of the way home. Going south at that point is largely an uphill endeavor, and there were a couple of times on University that I walked my bike up a hill because I was tired. 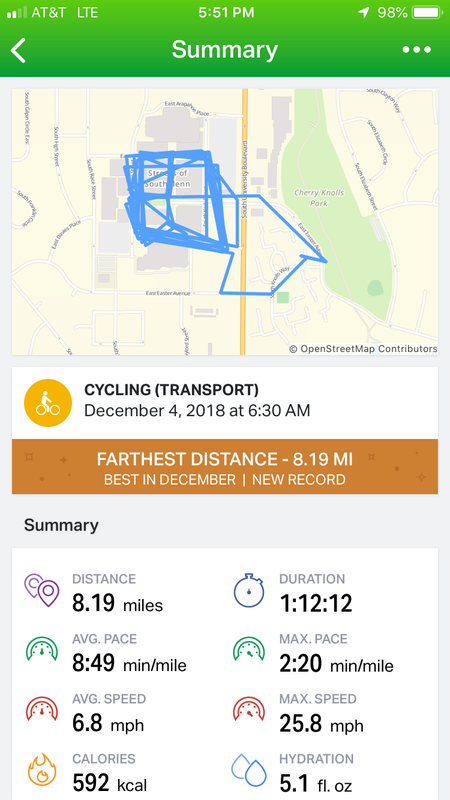 It was about at this point that I noticed that the audio updates that announce every mile tracked on my Endomondo app stopped occurring. 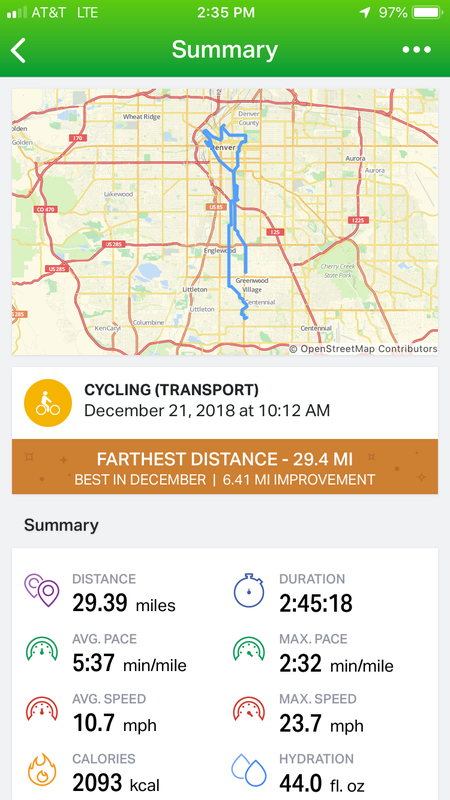 I was too tired to care too much about it, but when I got home, I realized that I had been shorted several miles because for whatever unknown reason, the app just stopped working. So in truth, I definitely went over 30 miles and this may have been my longest ride ever, I only got tracking credit for 29 miles. This is not a big deal, but it annoys me. Still, I survived, and got home and rested for the rest of the day, so all in all, it was a win...even if it was definitely not the most fun ride I have ever had. Mood: Trying to avoid having to make navigational decisions. Having my exercise territory basically doubled in that I can cover a lot more distance on two wheels than I can on two feet has been pretty awesome. It's allowed me to go to a bunch of new places and see new things, but it has also led to an unexpected stress...I have to think harder about where I'm going and how to get from point A to point B. This navigational stress was something I was in no mood to deal with on Tuesday morning, so rather than trying for a new destination, I decided to just hit the Highline Canal Trail and stay on it. 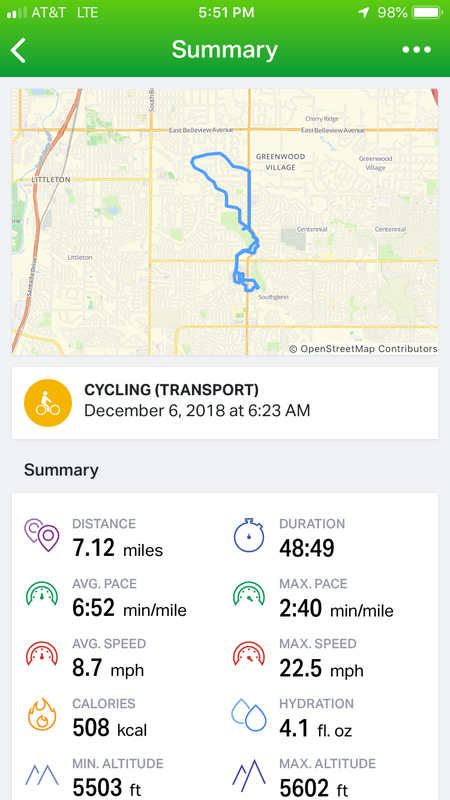 I went seven miles out, and then seven miles back. It wasn't overly exciting, but it was a pretty morning and not having to think about where I was going was kind of a relief. 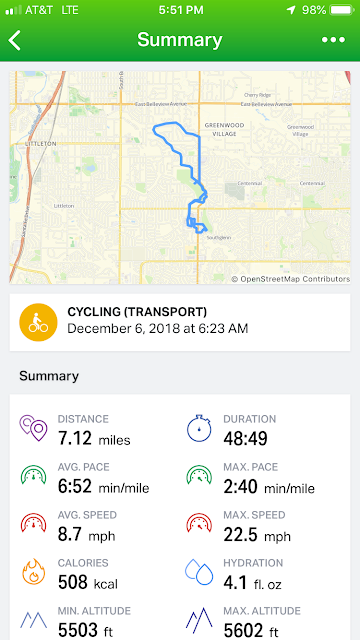 Soundtrack: The Avett Brothers "Emotionalism" and "I And Love And You" and "Four Thieves Gone"
I took my time getting out the door on this Sunday morning, so I started a bit later than I originally had wanted. 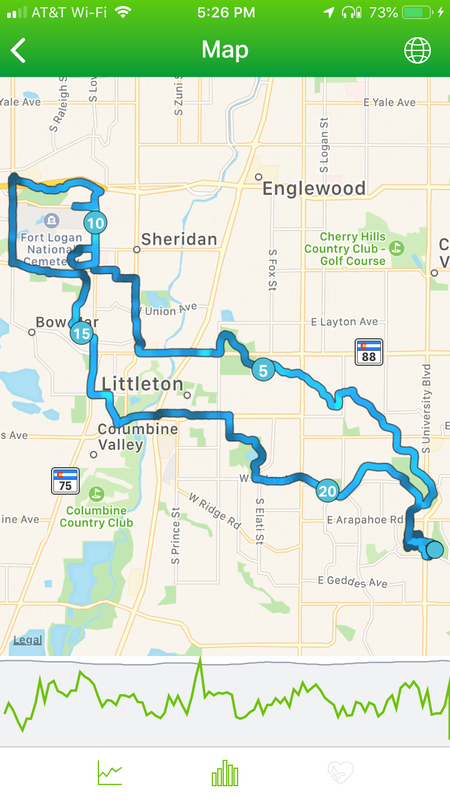 My goal was to ride up to the Bear Creek Trail and retrace my steps from post 798. 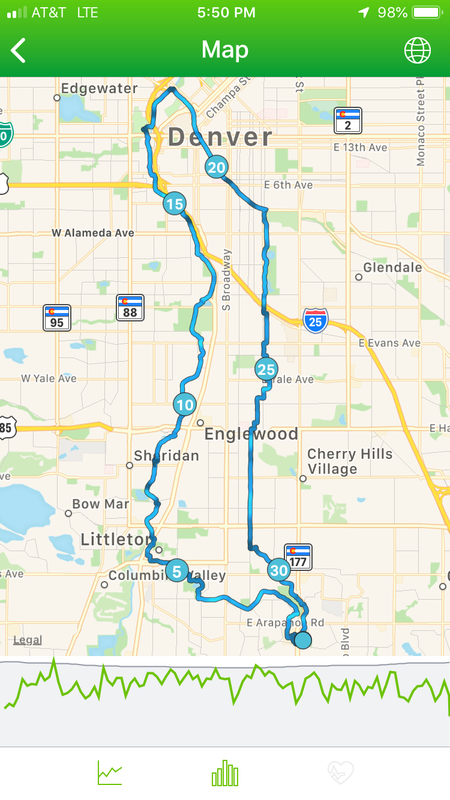 I made it to the beginning of the trail, but after riding just a short while along it, I realized that if I took it as far as I did on that particular run, I would not be back home in time for church, so when I arrived at Sheridan Boulevard, I took it south and headed back for home. My hope is to get back here again sometime in the coming weeks and go further down the trail. 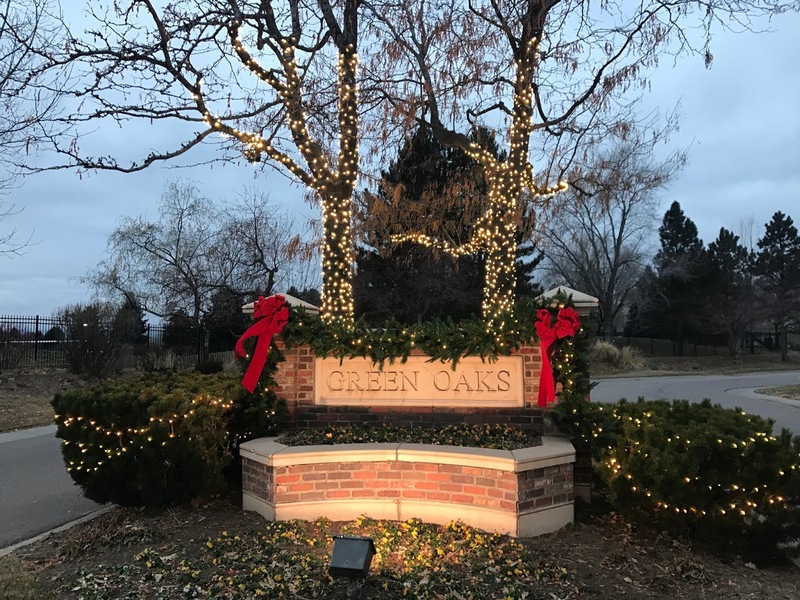 My return home led me past this home pictured above with deflated Christmas decorations strewn about the lawn. 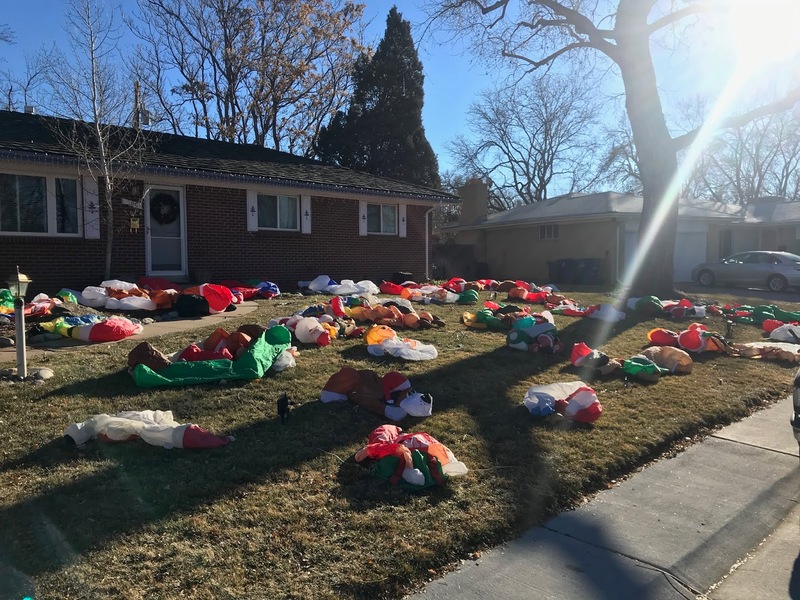 I have seen this house many times during the Christmas season, and it always makes me think of some type of terrorist attack where all the inflatables were wiped out in a tragic disaster. I stopped to take a picture, because this scene makes me laugh every time I see it, and as I was doing so, the people who live at the home pulled up in their car and told me that I should come back after 6PM when they are all inflated. I told them that I was taking a picture of them deflated because the sight cracked me up, and they looked at me like I'm a crazy person. Mood: Toasty hands thanks to a loving wife. 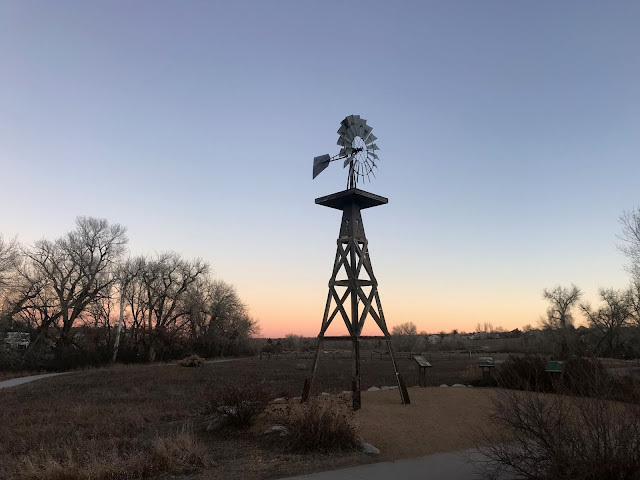 Soundtrack: Alanis Morissette "Jagged Little Pill" / Passenger "Runaway"
This is the historic Cheese Ranch Windmill, a site which my friend Scott decided sounds very much like a track on Mario Kart, and he isn't wrong. This is only the second time I have ever visited it. The first was when I walked to Lone Tree on my 2018 Walkabout. This time, it was decidedly colder. Although, for a change, my hands were fairly toasty thanks to a decision by my lovely wife to give me one of my Christmas gifts eleven days early. 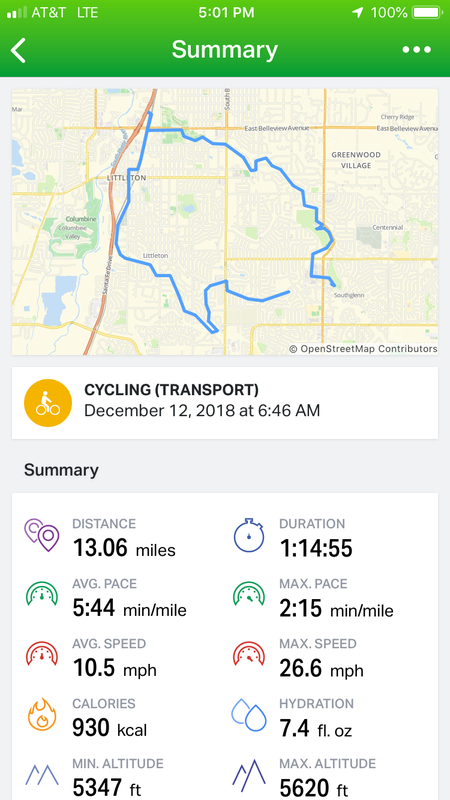 She pulled out some brand new biking gloves, which I wore much to the delight of my fingertips which did not freeze on this outing and actually stayed decently warm. It was a perfect gift, as she handed them to me right after I mentioned I should add them to my wish list. She's a good wife! Mood: Is this a Kraken? Soundtrack: The Bill Simmons Podcast / The Shins "Heartworms"
This may be the greatest parking space in history. 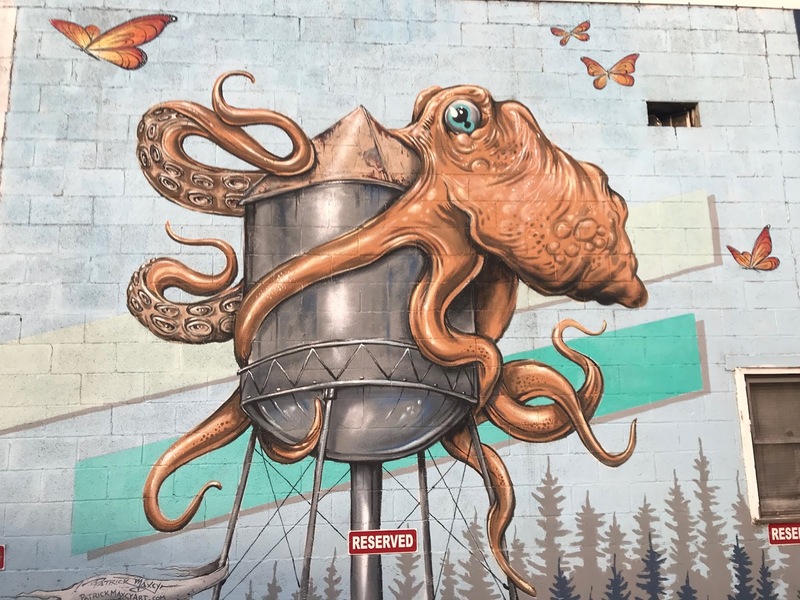 Any time you can park your car in full view of a mural depicting a giant squid attacking a water tower, you really should do so. I was kinda sad I didn't have a car to park. I discovered this fantastic parking space pedaling my way through downtown Littleton. 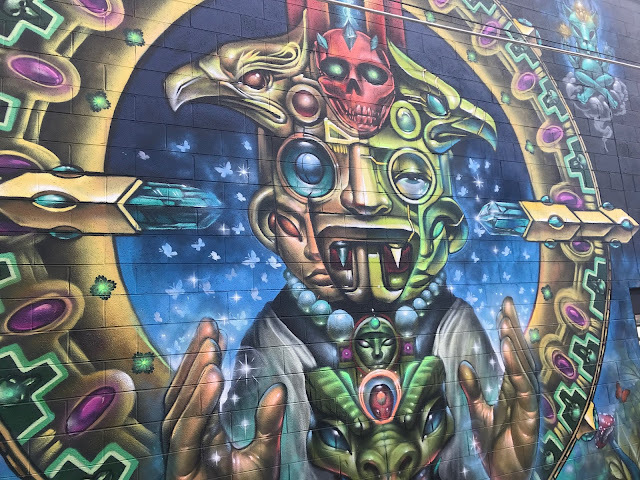 There is a costume store on the north side of that little downtown area which is completely covered in awesome murals, this being one of my favorites. It was downright balmy by December standards, with temps in the 40's for nearly my entire ride today. I was unable to ride yesterday because when I walked out to the garage, I discovered that my bike's rear wheel was blown. 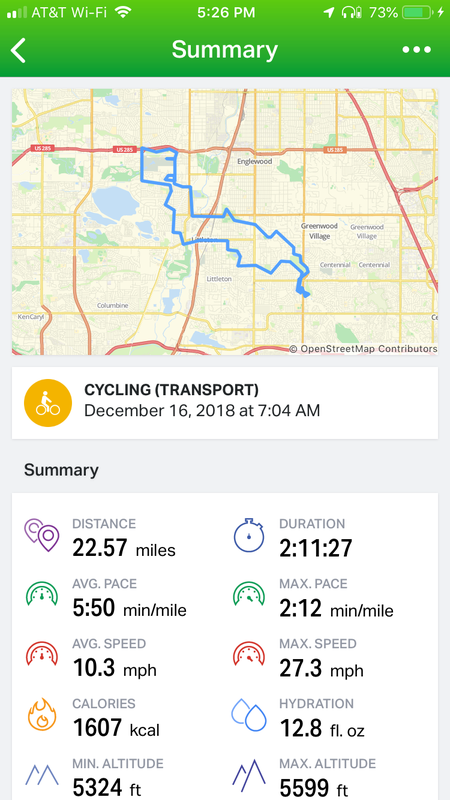 I got it fixed yesterday afternoon, and after a morning spent getting ready to ride only to quickly discover that I was out of luck, it was pretty glorious to have an ever prettier morning to ride a day later. 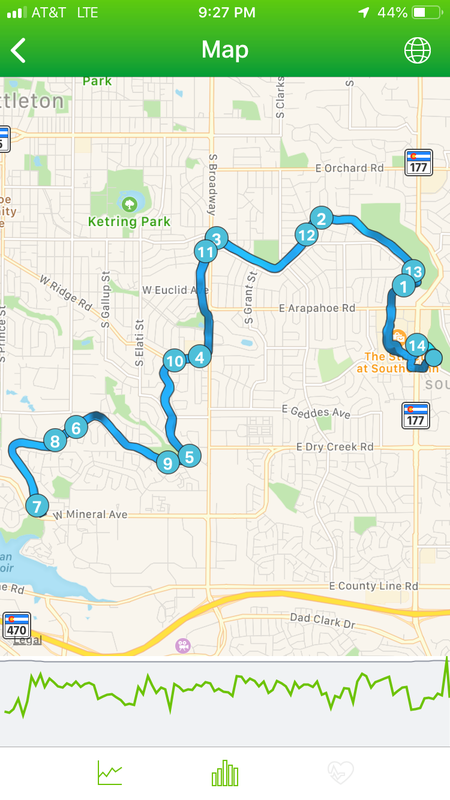 Plus, I was chomping at the bit to get some miles in. 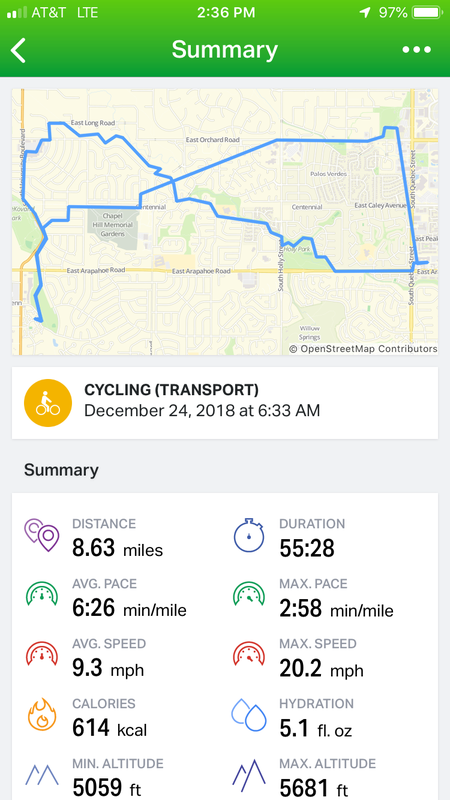 I pushed myself harder than I usually do, really attacking some large hills, and as a result my legs were a little wobbly by the end. Wobbly in a good way, though. Like I had really worked out hard. It felt good. 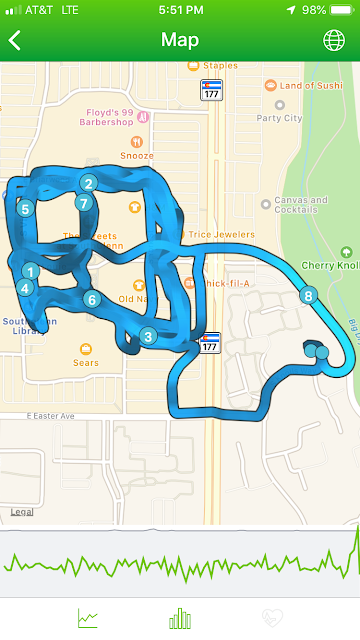 Perhaps the only downside was that I forgot to start my tracking app for the first section of my ride. That meant that I missed out on about a mile or so of mileage, but I feel okay with crediting myself with 13 miles on a morning where I went hard and got home relatively quickly. I also discovered just how not bike friendly Santa Fe Boulevard is. The top left corner of the map was a section where I rode north and then just had to reverse my direction as I hit a dead end on that street which is more of a minor interstate than it is a road. There was just no direction to go but backwards at that point, unless I wanted to die. 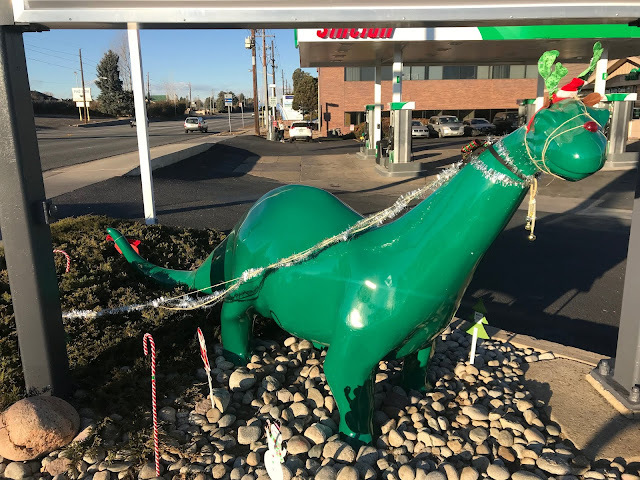 Mood: Enjoying Rudolph the Red Nosed Brontosaurus. Soundtrack: Twenty One Pilots "Trench"
I decided to head northeast on this lovely Sunday morning. 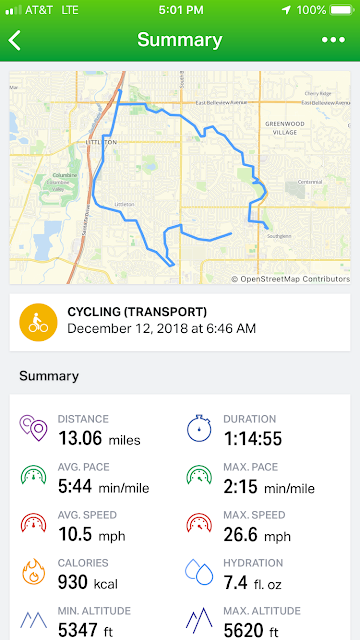 It was a little chilly for the first half hour or so, but it quickly warmed up and was much more pleasant than the past couple of rides. My goal was to make it to Bible Park in Denver, and so I headed in that direction, and may have actually gone a bit too far east, but had I not ridden all the way to Yosemite, I would not have seen this glorious Sinclair dinosaur decked out as Rudolph the Red Nosed Reindeer, and that would have been a true travesty. I did discover that there is a section of Hamden Avenue that is completely inaccessible by bike unless you are willing to ride in the street in one of the two lanes where cars routinely fly by at fifty miles an hour plus. I am not comfortable pretending I'm a car on busy streets, so I had to turn down this dirt road which led me through a neighborhood of complete and semi-complete multi-million dollar homes. I wasn't sure exactly where I was, so I just kept aiming south, and eventually found a street I was familiar with. It's odd to be in a place you know very well, and then immediately be lost in a land you've never before seen in a matter of seconds. Mood: Being cautious in the cold. Reluctantly, I left the house. 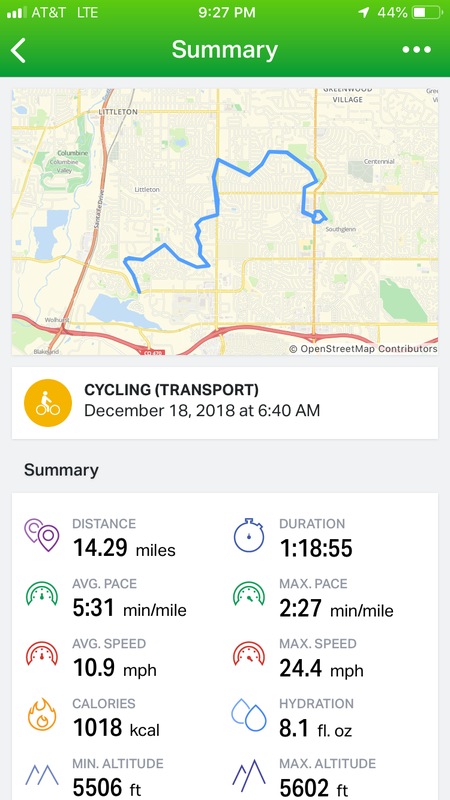 It was 15 degrees outside, and one thing I have learned about biking is that it is a much colder endeavor than running. 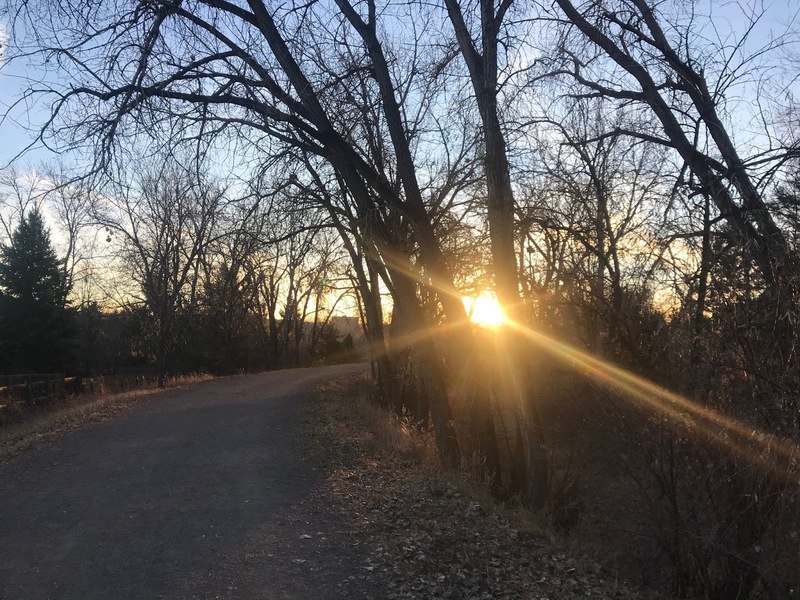 When I go out for a run, my whole body warms up and even though it is freezing outside, I don't feel TOO frozen. 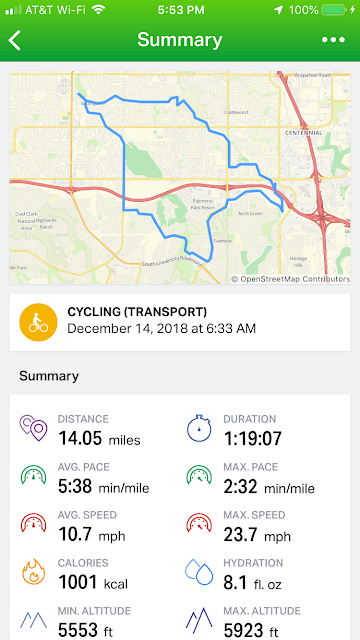 On a bike, my hands freeze up and my feet become blocks of ice at the bottom of my legs, and it's uncomfortable. I decided to stay close to home in case the temps just got too cold, and I circled around Southglenn picking up Pokemon supplies and taking it rather easy. It was quite chilly, but it didn't bother me TOO much. I knew that at any time, I was mere minutes away from home, and I didn't stay out too long. My photo for today is the sublimely ridiculous dueling signs at Sears right now which show that they are both hiring and going out of business. 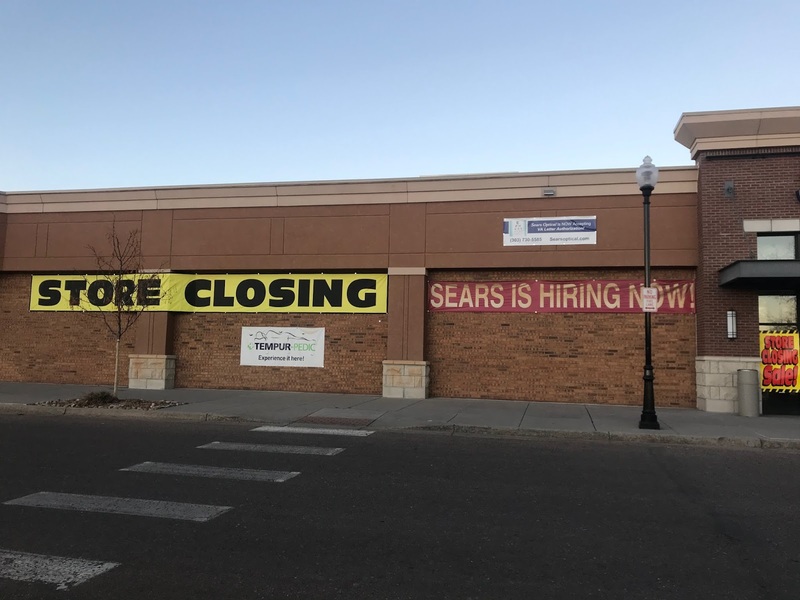 Something tells me that great careers are not available. Soundtrack: Mumford & Sons "Delta"
I had a day off, and I was going to go a long way. This was all I knew. The weather was nice-ish, and I had a hankering to take off on the trail that follows the South Platte River. It took me through some rather ugly industrial neighborhoods, but there are many pretty places where all you can see is rivers and trees. 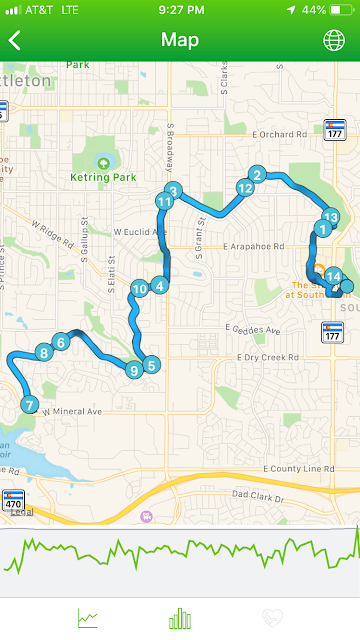 I had run on sections of this trail before, but never had I seen so much of it at one time. I took it all the way to the Broncos Stadium (Where your company's name can replace this temporary sign if the price is right! 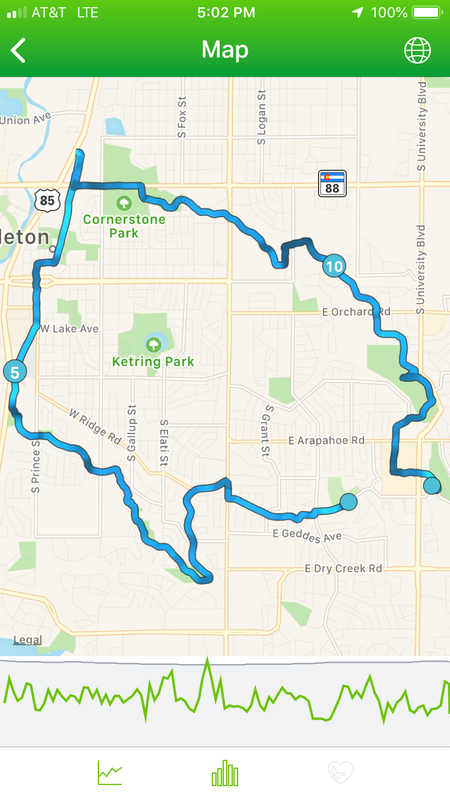 ), and then made it to confluence park ever so briefly before heading back down the Cherry Creek Trail and through Wash Park towards home. 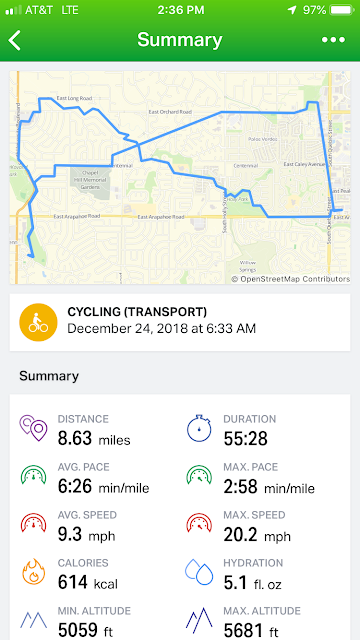 My splits showed that I was hauling tail...I've never averaged anything close to a 5:17 per mile pace. And when I got home, I was tired, but not exhausted. It was fun getting a chance to go so long and see so much, and I was glad to grab that chance while listening through the new Mumford & Sons album a few times. Twas a great way to wrap up November.